END OF AUGUST SUPER SALE! NEW Roy McAlister DVD IS OUT NOW! you better think about getting the Book and DVD. you only get THIS PRICE with the this ADD TO CART button here. A great book by a great man! 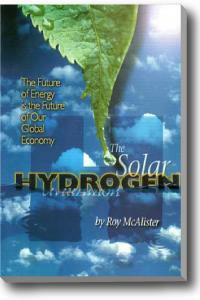 A Hydrogen World expert and pioneer, Roy McAlister will be known in the history of energy more prominently than Edison, Westinghouse, Tesla, Rockefeller, Carnegie and the rest combined. Roy is an expert in Inorganic, Organic, Electro, Thermal and Bio Chemistry, Newtonian and Quantum Physics, Mechanical Engineering, Civil Engineering, Material Science and Advanced Composites. He is an expert who writes, not a writer who thinks he's an expert. 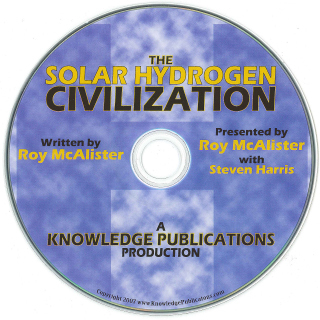 Get Roy McAlister's Solar Hydrogen Civilization Book and DVD together for one INCREDIBLY LOW PRICE! Details in a COMBO BELOW !! Don't Carry or Store your Fuel.. pick it up off the Ground !!! Our best selling combo... these are brand new.. just released in the last few months... and I love ya so much I'm buy either or both of these items at the July Sale Combo Price. It was $30.00 for both, but some people have one book, some just the DVD... so get the one you are missing or get them both... its a great savings of over $10.00. Once again Knowledge Publications has reached into the past to bring to you one of the best books ever written on Hydrogen. This is the first printing of THE CHEMISTRY AND MANUFACTURE OF HYDROGEN since 1919! 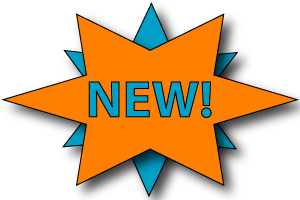 It begins with chapter one dedicated to the uses, discovery and occurrences in nature of hydrogen while the second chapter focuses on the chemical properties of hydrogen. The final three chapters give in depth explanations of every way to manufacture of hydrogen via chemical methods, chemico-physical methods and physical methods. This book will definitively prove to you that some of the best hydrogen experts ever were contemporaries of your grandfathers and great grandfathers. Luckily though, thanks to the reprinting of books like this, their knowledge and expertise are not lost to us. With the republication of books like THE CHEMISTRY AND MANUFACTURE OF HYDROGEN we are realizing the most fundamental purpose for producing written records: the preservation and rediscovery of knowledge. Almost 4 Hours of Great Video.. Roy McAlister and Steven Harris go over the book almost page by page, covering all of the details that MATTER TO YOU ! What Roy and Steve cover in the video, if in written form, would be a book many times the size of this great book by P. Litherland Teed. Remember, Teed wrote this book for making HUGE amounts of hydrogen to fill balloons, blimps and zepplins, that's MILLIONS of cubic feet of Hydrogen, not piddle little amounts. Of note of interest, we are working with Don L Piccard, the father of modern hot air ballooning, founder of the Balloon Federation of America and one of the FEW FAA Gas Balloon Instructors in the United States is updating the book for modern ballooning. KnowledgePublications is also sponsoring the hydrogen being used in a balloon taking 100lbs of cargo to over 100,000 feet. Hey.. we just put this out... its selling great.. a great book...be happy we even took $5 off the price.. its a BIG book and takes a bunch of paper and time to make. Finally !!! The YELLOW BOOK and the BLUE BOOK from the Hydrogen Fuel Cell ElectroChemistry DVD. 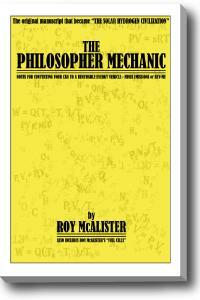 SEE BELOW Yes we have Roy McAlister's ORIGINAL MANUSCRIPT on doing ENGINE CONVERSION. Part of this book eventually evolved into Roy's book The Solar Hydrogen Civilization! The other part of it is going to be adapted for Roy's NEW book, Renewable Energy Engines, which is due to be relaeased soon exclusively by Knowledge Publications. The Philosopher Mechanic is the manuscript that start it all. It also has the class room fuel cell addendum included within it as well. 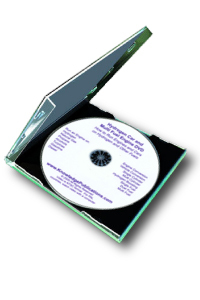 Hydrogen Fuel Cell ElectroChemistry DVD $9.95 AUGUST SALE! SAVE $15.00 Has NEVER been this cheap. the YELLOW book above *IS* the yellow and blue book in this video. You want BOTH! Our OLDEST and first DVD. The one that started it all. 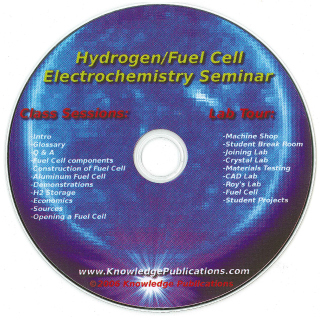 Its NOT the prettiest DVD, the new stuff is MUCH better in editing and format but this DVD lets you set in on a Hydrogen, Fuel Cell and ElectroChemistry Class given by Roy McAlister. Kind of like a fly on the wall, don't expect something ready for the discovery channel, but it has 7 hours of GREAT scientific learning and discussion in it. 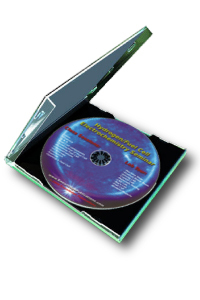 Get Roy's precursor to Solar Hydrogen Civilization and the Hydrogen Fuel Cell ElectroChemistry DVD together for one INCREDIBLY LOW PRICE! Run an engine on hydrogen, natural gas, gas, diesel, propane, alcohol, etc. Drive on 75 cents per gallon natural gas. Drive on hydrogen, or hydrogen mixed with other fuels such as alcohol, natural gas, propane, diesel (yes, diesel and H2 in a “gasoline” engine), or turpines. 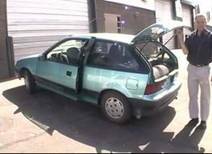 Run on hydrogen and veggie oil, or used French fry oil AND hydrogen in a “gasoline” engine. This DVD title tells it all! 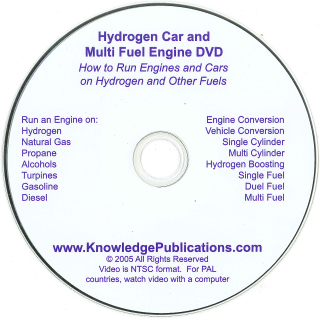 It is not just a DVD on engines and hydrogen; it’s a DVD on hydrogen and other fuels in a regular engine. Click on DETAILED INFO for great details and free audio. DVD is 3.5 hours long. If you purchased this DVD and all 3 of the other DVDs above, that would be OVER 18 HOURS of Hydrogen Education. There is not even a college course that offer that much information on hydrogen. This book has about every single old and new and current methods for the production of hydrogen from chemical, electrochemical, thermalchemical, organic and inorganic chemistry. Every metal water cycle, every high temp and low temp cycle. The Sulfur Iodine cycle and all the rest. Its in HERE in Detail. 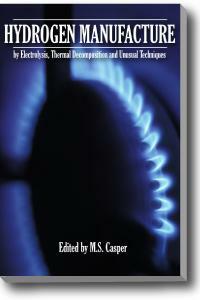 This book deals with sources and processes for the production of hydrogen. Hydrogen is often produced from natural gas and by petroleum refining. However, it is extremely important to understand and develop other means for obtaining this essential energy carrier. Hydrogen, like electricity, is not a naturally occurring energy form, but must be manufactured from basic energy resources. Again, like electricity, any basic energy resource could be used to produce hydrogen. Hydrogen Manufacture by Electrolysis, Thermal Decomposition and Unusual Techniques presents a survey of existing and future technologies for hydrogen pro­duction with an eye to their usefulness for a "hydrogen economy." Published technological studies were the basis for this review. The available material has been organized, abstracted and excerpted so as to provide YOU with a comprehensive overview of investigations and analysis of different hydrogen production practices that have been accomplished. Our first major Hydrogen book we started to publish and its a gem. Its a great compliment to Teeds 1919 Chemistry and Manufacture of Hydrogen and its an older version of the BIG book, Manufacture of Hydrogen by Electrolysis, Chemistry and other Unusual methods (above). The history of the production of hydrogen starts at the very beginning of chemistry. Indeed the foundation of modern chemistry, Sulfuric Acid (H2SO4) was dependent on hydrogen being sourced to it from the reaction with water. The number and methods and uses of hydrogen would fill an encyclopedia and 98% of it would not be of any use to those of you who are seeking the UNDERSTANDING and the KNOWLEDGE required for the PRODUCTION of hydrogen. 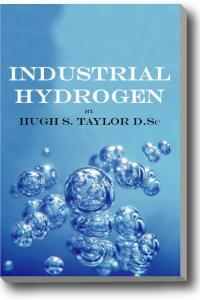 This book covers the production of Hydrogen on an INDUSTRIAL SCALE, which means LARGE. The great, great majority of the methods in this book can be made and used on a daily basis on a BENCH SCALE—that means 3 feet instead of 300 feet in size. We are not republishing and distributing this book for the heck of it. This book, as well as all of the other new books we are producing under license, was CAREFULLY selected by Steven Harris and Roy McAlister. The methods in this book cover 85% of the modern methods of hydrogen production. It even includes the production of H2 from bacteria, in such large amounts that it makes the blue-green algae hype look like the junk it is. This book is a treasure. Keep in mind, it’s not the only gold you need to have in your treasure chest, but it is a great piece. This book is written in SIMPLE English. The chemistry and math are NOT complex. 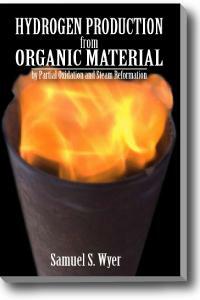 HGG Volume 8: Hydrogen Production from Organic Material $24.95 AUGUST SALE! 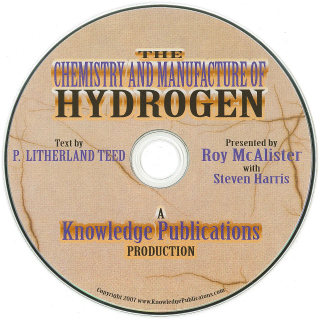 With the first four chapters written specifically for the benefit of readers who may not be familiar with the fundamental laws and definitions of physics and applied chemistry which make up the foundation of HYDROGEN-BASED ENERGY PRODUCTION, this book begins by providing YOU with the fundamental knowledge upon which any rational discussion about Hydrogen Science must be based. The first chapter acts as an excellent introduction to physical laws and definitions, covering important points such as the distinction between a vapor and a gas, Joule’s law of gases and the flow of gases. Chapter Two includes explanations of chemical laws and definitions, such as the Law of Multiple Proportion, temperature of combustion and destructive distillation. Chapter Three discusses thermal and physical calculations, including carbon-ratios and composition of gases by weight and heat carried away by products of combustion. The fourth chapter covers commercial gases, with definitions of several gases such as olefiant gas, hydrocarbons and coke-oven gas, with a comparison of commercial gases, including tabulated data. 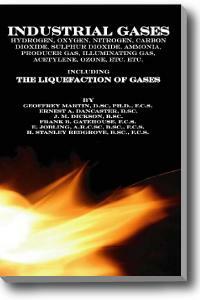 Following the four chapters of basics, Chapters 5-29 contain in-depth information about the classification manufacture utilization and efficiency of specific combustible gases as well as extensive explanations of a wide variety of “Gas-Producers.” References are cited in the text by means of their bibliographical serial numbers, and these are given in Chapter 30. This book is CRITICAL to the success of your energy business. 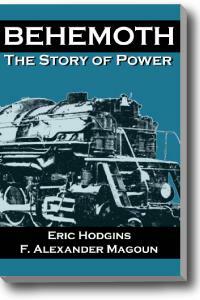 Behemoth: The Story of Power is from the time of Hero to 1932. This book is THE book on the history of energy and power. If you want to be in the energy field, you’d better know Hero, Papin, Newcomen, Savory, Watt, Otto and Diesel. If you are in the energy field and you don't know these names...shame on you. It includes who did it and why; what problems they faced and how they were solved. The business model of James Watt in this book is better than the business model of most modern fuel cell companies. This is a story of the evolution and growth of energy that hardly anyone really understands. Every alternative energy project, EVERY ONE of them has FAILED; died in flames, because those doing it did NOT understand the true evolution of energy which is so finely illustrated in this book. If you want to be in the energy field, you’d better know Hero, Papin, Newcomen, Savory, Watt, Otto and Diesel. then you gotta get this book.. and... if you don't have BEHEMOTH yet... GET IT !!! we have found to date. It shows the Sun Press in Paris ( france!) running on a steam driven press being powered by concentrated sunlight and more. Due to the educational value of this book, it will be at a significant discounted price. If that big dish was built in 1903, don't you think you could do one today? A guy wrote to me who has a septic tank cleaning business and I told him that his Honey Truck ( thats what septic tank trucks are called ) is a gold mine. People pay you to take away...er... human processed food... and you can make energy and power from that.... Its as simple as a pair of barrels and this book. if you have Industrial Hydrogen (book) then get this book. If you don't have this book or Industrial Hydrogen, then get Industrial Hydrogen first. Hydrogen—you know this one. Oxygen is a byproduct of H2 manufacture in some cases. Nitrogen is used with H2 to make Ammonia. Carbon Dioxide is reduced to Carbon Monoxide and combined with water to make Hydrogen. Sulfur Dioxide is used to make sulfuric acid which is a hydrogen carrier (and ten thousand other things), Ammonia is a hydrogen carrier (and a thousand other things), and Producer Gas and Illuminating Gas are excellent carriers of hydrogen and are easy to make. Acetylene is a huge part of our hydrogen future and Ozone is a powerful oxidizer that can be used in other chemistry to make more H2. These gases are CRUCIAL elements to a Hydrogen Future. Beth Halacy, the author of this book, and the wife of the late Dan Halacy, the author of some of our Solar Books and our #1 Selling FUEL CELL book, Fuel Cells: Power for Tomorrow is THRILLED at the WONDERFUL PATRONAGE and purchases of her and Dans books last month. We pay her MONTHLY the royalties for each of the book we sell. There is a sweet wonderful old lady in Colorado who gets a significant monthly income supplement from us BECAUSE OF YOU!. Thank you! Solar Cookery is entirely about solar cooking, and describes in detail how you can make your own solar oven and reflector hot plate, and how to cook with them. This book will appeal to many kinds of people. It is for people who are interested in conservation and a wise use of our resources, plus a desire to protect the environment. It is for students who are searching for a new project for a science fair. It is also a basic information resource for students who want to learn more about the simple principles that make it possible to put the sun to work in so many useful ways. It is for campers who want a way to cook safely in wooded areas without the need for a fire, or the nuisance of waiting for a fire to get going. No smoke; no ashes. Just clean, hot heat! It is a new horizon for backyard barbecue fans and cookout specialists. It is for health advocates who are seeking ways to put their ideals to practical use. The higher nutritional value of solar-cooked food will be a delight. Perhaps most of all, it is for those who appreciate the fun and excitement of a new way of preparing food. Solar Cookery was the first book ever available on how to harness the sun's energy in preparing food. If you’re already a solar chef, the cooking tips and recipes in this book will be just as useful for other solar ovens and reflector cookers. Additionally, although this book will obviously appeal to the solar enthusiast, it was not written with only them in mind. Either way, once you discover how easy and enjoyable solar cooking can be, the sun's energy will doubtlessly become a mainstay in your food preparation. Beth Halacy, the wife of the late Dan Halacy, the author of THESE Solar Books and our #1 Selling FUEL CELL book, Fuel Cells: Power for Tomorrow is THRILLED at the WONDERFUL PATRONAGE and purchases of her and Dans books last month. We pay her MONTHLY the royalties for each of the book we sell. There is a sweet wonderful old lady in Colorado who gets a significant monthly income supplement from us BECAUSE OF YOU!. Thank you! Knowledge Publications has combined Dan Halacy’s fantastic books: FABULOUS FIREBALL and EXPERIMENTS WITH SOLAR ENERGY in order to provide you with one great solar energy book! It’s no secret that the sun provides the energy that keeps us alive. Solar energy keeps us warm, grows our food and literally fuels all of the systems that make our lives possible; without the sun we simply could not be. Beyond the energy that is essential for these basic purposes, though, there is a massive amount of additional solar energy available to be harnessed. These books provide a great background on the scien­tific aspects of solar energy and invite you to have fun putting solar energy to work for you. They tell the story of solar energy, explain why it is so fascinating and challenging and will tell you how to build solar powered ovens, water heaters and furnaces. 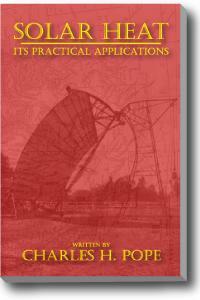 With this book you can even build solar batteries that will power a radio or a model airplane that flies on sunshine! The American Society of Heating, Refrigerating and Air-Conditioning Engineers has sponsored research in the field of solar energy since 1949. In recognition of the growing importance of solar energy, in 1967, ASHRAE, published a volume entitled Low Temperature Engineering Application of Solar Energy, which included chapters by many of the solar pioneers who had developed and maintained the thread of continuing technical contributions upon which the vastly expanded current technical effort is based. This revised volume, entitled Applications of Solar Energy for Heating and Cooling of Buildings is greatly expanded. It includes most of the same authors but contains far more important contributions. your heating bills FASTER than this book that Mr. William K Langdon wrote. He IS a professional architect. He IS an expert on insulation and he's made his life long experience available for you in the pages and photos of this book, at less than $1 / year of his professional experience... this is a bargain. $10 and a trip to homedepot will have you saving money on heating NOW... tonight ( well...when its cold).. so get this book BEFORE its cold. Heck..some of those window insulation modules will save you money on AC AND make GREAT hurricane shutters. no joke. This is entirely devoted to insulating shades, shutters, panels and curtains. 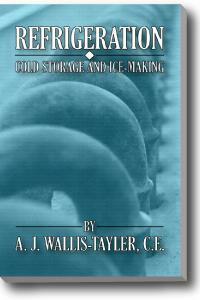 It is the most comprehensive and useful book on the subject of movable insulation that you will ever find, period. 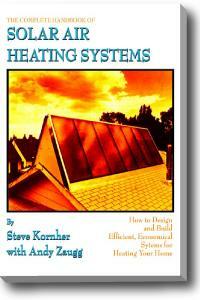 The book is pure genius; it details simple methods to STOP the HEAT LOSS from your house, including effective ways to use movable insulation systems to increase your home’s energy efficiency in both winter and summer, information and directions for owner-made systems, recommendations for where to get the best ready-to-but and custom-made units and instructions for determining the payback time and fuel savings that you can realize with movable insulation on your house. 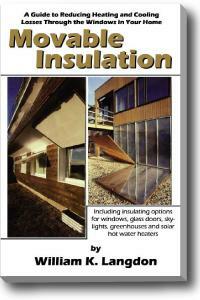 With easy construction plans for easy insulated , a HUGE variety of panels that you can put inside your windows, outside, and fold up/down and much more from an extraordinarily talented author, this 379 page book is an absolute must have for any homeowner that wants to STOP HEAT LOSS NOW! If you get Movable Insulation above, and you've stuffed every crack, made movable insulation for your windows and doors and got it all sealed up good... now.. you need to look at PUTTING SOME HEAT IN THE HOUSE FROM THE SUN..and that's what this masterpiece of a book does. WITHOUT algebra and calculus, this book is hands on with diagrams, drawings and photos and simple rules of thumb. This book shows you how to put energy into your home..some you can make in less than an hour and it goes in your window easier than a window AC unit does. One of the most addictive books we have. Some people say this book is worse than smoking. This book is for people who LOVE things mechanical, things that move.. people that take locks apart for fun and who tinker with things and like to make neat things that will throw their neighbor over the football field.... this book is all about everything that makes everything move and stop and pull and push....Lots of pictures...not many words... you don't even need to be able to read to use this book. Mechanical Movements is a great work of reference for inventors and experimenters, mechanical students, artisans and any workingman with an inquiring mind and the ambition of an engineer. For anyone with a real interest in mechanical thought and work, this book will fully explain mechanical movements, devices used in constructive and operative machinery and the Mechanical Arts. Mechanical Movements will be your valued mechanical dictionary, commencing with a rudimentary description of the early known mechanical powers and detailing the vari­ous motions, appliances and inventions used in the mechanical arts through to present times. THE great book that your tax dollars made..... Bush gets up and talks about hydrogen and fuel cells and the future and here it is in a 10 year old government manual on fuel cells. Fuel cells are not new...they go back to the 1800's and every type of fuel cell you can think of is in this book... a great book that was well worth your tax dollars. Unless you are a libertarian. This Handbook provides a foundation in fuel cells for persons wanting a better understanding of the technology, its benefits and the systems issues that influence its application. Trends in technology are discussed, including next-generation concepts that promise ultra-high efficiency and low cost, while providing exceptionally clean power plant systems. Polymer electrolyte, alkaline, phosphoric acid, molten carbonate and solid oxide fuel cell technology descriptions have been updated from the previous edition. Manufacturers are focusing on reducing fuel cell life cycle costs. In this edition, over 5,000 fuel cell patent abstracts and their claims have been included. In addition, the handbook features a new fuel cell power conditioning section and overviews on the hydrogen industry and rare earth minerals market. me all puppy eyed crying and wanting this book..soooooo bad.... well.. we put it on sale for August JUST FOR YOU. sulfuric acid ( no the acid does not touch the water) The book is THICK and its detailed. The book is over 600+ Pages !!! These two books are cheaper than we've every put them out.... Lord knows there has been enough water flowing around most of the country this month.. time to turn it into ENERGY !!! 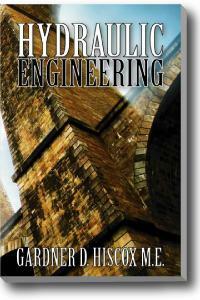 Hydraulic Engineering has EVERYTHING to do with water throughout the hydrosphere of the planet. This book is all about water flowing, tides, sea power, rivers, canals, pipes, ditches and fluid dynamics. If you have a river or a stream or a lake or live near the ocean and you want to try to capture water power from it, then this book tells you how to measure, direct, funnel and flow your water. It covers the mathematics in detail and it backs up the math with illustrations. You don’t just get the formula to find out the pressure and the flow of a jet of water with 20 feet of head pressure above it; Hydraulic Engineering actually illustrates the differences between pressure and flow for you. With 315 pages, this book is beautifully illustrated and incredibly well-written just like Hydraulic Motors. Hydraulic Engineering also covers irrigation and the watering of crops in explicit detail, as well as water use in gold mining. It is a joy to read and a book that makes your imagination run. If you like water power, get both of these books. Hydraulic Motors covers water flowing on the earth, rivers, dams and more, but not anywhere close to the EXPLICIT detail of this book. 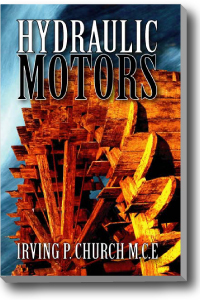 This book DOES cover SOME of the wheels, motors and turbines of Hydraulic Motors, but in nowhere near the detail. These books complement each other beautifully yet each stands alone as a phenomenal source of water power information, which is why you can buy them separately or together in a Combo bargain pack. It is more than a little strange that amateur engi­neers often neglect the windmill. Wind-power is free, and while it is admittedly erratic it must surely ap­peal to the mechanical mind as a labor saver and valuable renewable energy resource. Windmills and Wind Motors presents a series of practical, original de­signs that can be used for model-making, experi­mentation, or even for the more practical purpose of power production. 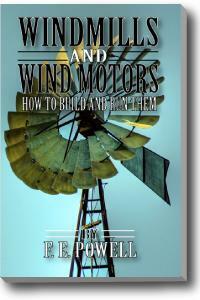 The book is a must have for wind-energy enthusiasts of all ages and knowledge levels. If you want to guide your child to an A+ in this year’s science fair, get this book! If you believe in the potential of wind power and want to experiment with it in your own back yard, get this book! Finally, and perhaps most importantly, if you want to build your own power producing wind-energy-plant in order to curtail those skyrocketing energy costs, get this book! This excellent little book provides you with all the information you need to complete exciting and educational home-wind-energy projects! I am the ONLY PUBLISHER in the WORLD that has this book IN PRINT. Buying an original 1977 copy online will cost you over $100, we sell it for $77.99. Because NY is on Radiation Altert and there are other current nuclear threats against the USA I am pushing this book out at a lower price for a limited time. This is one THICK BOOK. Every news agency, every emergency services agency needs to have a copy of this book. 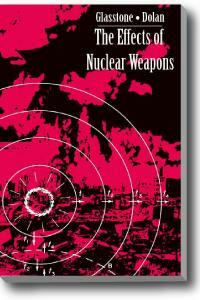 It details the effects of a nuclear device, which is NOT a big or as lethal as you think. With the bomb computer kit that comes with this book you can predict fall out, weapon size, radiation exposure based on distance from the pulse and much more. If it was a ground detonation and you can measure the creator size ( from the air ) then you'll know what the yield of the bomb was. Tell your emergency services friends about this book. At one time it was classified and the public could not own it. Now you can. How to Really Save Money and Energy in Cooling Your Home $12.95 AUGUST SALE! HA !! Go look at your AC bill... and then go look at the price of this book. It will help you start LOWERING your AC BILL NOW... and you probably have EVERYTHING you need to start TODAY in your garage. Its a LOT easier than you think. 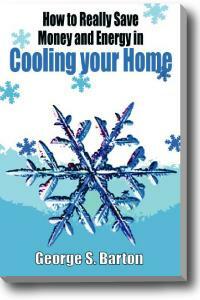 This book covers EVERYTHING you have NOT HEARD of for cooling your house. The illustrations simply and easily convey to you HOW your house gets hot and HOW to keep it from getting hot. The best way to keep a house cool is to keep it from getting HOT! You will slap your forehead in amazement at how easy and simple it is to keep your house cool via proper ventilation and other methods. THIS *IS* the stuff that builders and contractors DO NOT DO. Don’t think that because you have a “Ridge Vent,” that's as good as it gets. This book will save you MONEY on your AC BILL faster and quicker than anything else you have seen. If you are one of those $250+ a month Summer AC bill people, GET THIS BOOK. How to Save Energy and Cut Costs in Existing Commercial and Industrial Buildings $99.95 NEW LARGE FORMAT! If you spent MORE than $100 this month on your commercial building's electrical or AC or Heating or Cooling BILL THIS MONTH, then you need this book. Large buildings can easily pay OVER $10,000 or $100,000 A MONTH for electricity, heating and cooling. This book will help you save TENS of thousands of dollars a month. 725 pages long and detailed. MANY of the changes can be made at no or low cost and be easily done by your maintenance people. This book was written specifically for building managers and corporations. At 725 pages, this book covers a wide range of energy conservation opportunities, such as relamping changes that increase lighting efficiency without modifications to luminaries or ballasts, heat reclamation via Thermal Wheels, Run-Around-Coil Systems and Air-To-Air Heat Exchangers, cooling and ventilation through Economizer Cycle Cooling, Enthalpy Cycle Cooling, Latent Evaporative Cooling and Desiccant Dehumidification, and HVAC Systems like the Dual Duct High Velocity System. 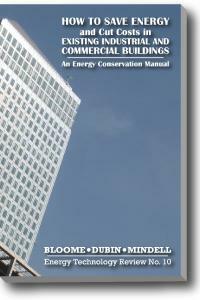 This book explains in detail every single possible method of saving money in the heating, cooling, refrigeration and ventilation of BIG office buildings or factories. Many of the practical solutions offered by this fantastic Energy Conservation Manual can be implemented RIGHT AWAY for immediate energy and financial savings. The SUPER Roy McAlister COMBO ... One time only. 18+ hours of Video, ~700 Book Pages. That's not even $7/ Hour for Hydrogen Education !! Get all 10 books from our DOE Fundamentals series for one LOW PRICE! a fan of public education...but these books are great ). REAL SOLAR POWER is anywhere you go. Unless its cloudy, or at night, or a solar eclipse or you are inside or in a cave or blind or..
All 10 volumes of the best BIOMASS books available!SAVE $75.00! THIS STOVE IS FREE WITH THIS COMBO !!! if we run out of stoves, then the sale is over! FORWARD THIS EMAIL TO THOSE WHO CAN BENEFIT FROM THIS FREE CLASS... It has SAVED LIVES. Don't be like the people who SUFFERED and DIED in Katrina! !